The Iko Uwais starring martial arts thriller is coming to UK cinemas. 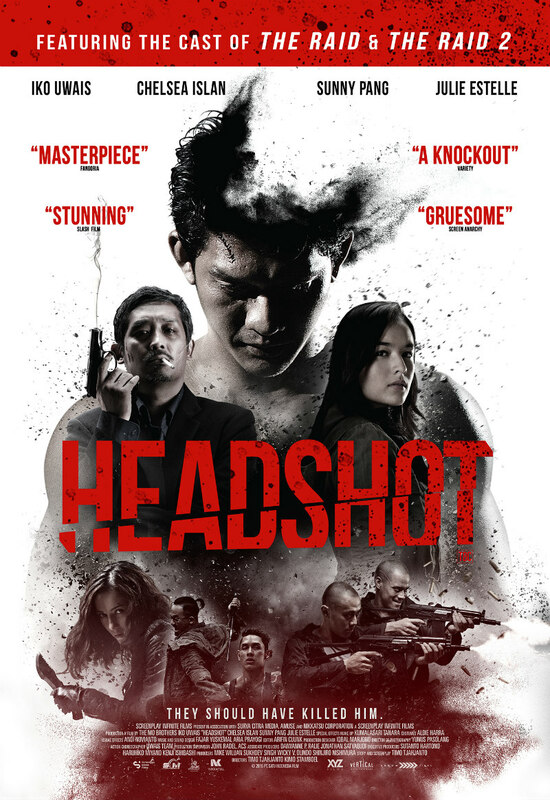 The Raid's Iko Uwais stars in another all-action martial arts showcase in Headshot from filmmakers The Mo Brothers. Uwais plays a young man attempting to escape a criminal gang only to find himself drawn back in when the nurse who looked after him is kidnapped. Headshot is in UK cinemas and on VOD March 3rd. A man (Iko Uwais) is discovered left for dead with a gunshot wound to the head, and, after months in a coma, is nursed back to health by young student-doctor Ailin. Realising that the man is an amnesiac, Ailin renames him Ishmael. When Ailin is kidnapped by a gang of dangerous criminals led by enigmatic crime lord Lee, Ishmael suspects his true identity is closely tied to these people.